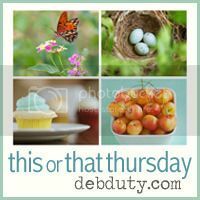 Sharing a couple of pics today for This or That Thursday and Show of Your Shot. I captured this little guy the other day outside the church during my daughter's Girl Scout meeting. He was busy flitting about the mums. I just love the coloring and patterns on his wings. Very nice! I like the contrast of the brown and yellow. Absolutely gorgeous! You really captured some detail on the butterfly! Love them! 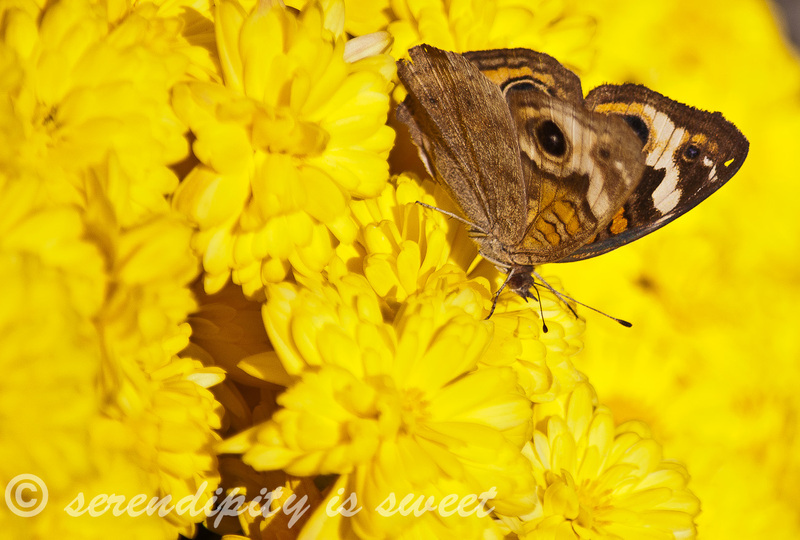 I'm always envious, in a good inspires me way, of butterfly photos such as these. So SO lovely- I especially love your second one. 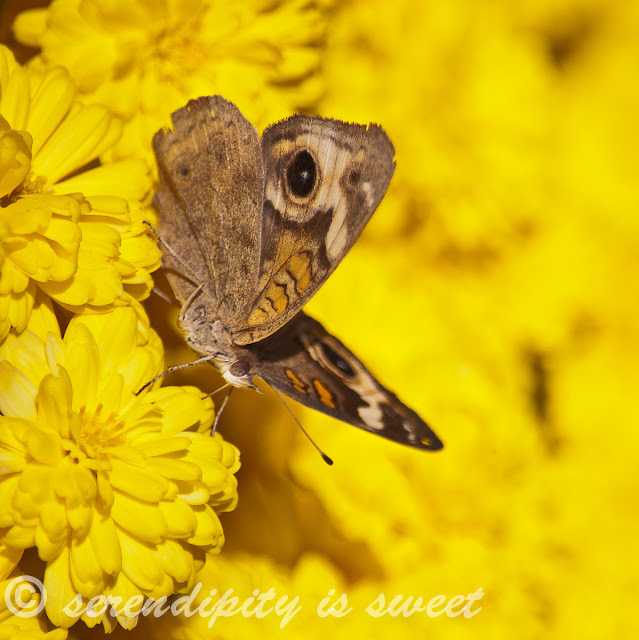 The butterfly is so pretty against the bright yellow mums! Really great captures! what a lovely macro! and colors are so vibrant! What vivid colors in that shot! Oh those moths (I think they are moths) are so beautiful with those big "eyes" on their wings. Thanks for stopping by my blog. Have a great weekend ahead. Great shots of those moths against the yellow! The mums and the moth both have fantastic color. Great shots!